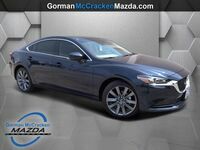 The 2018 Mazda6 Signature in Longview, TX is the premium trim level that has been added to the Mazda6 lineup for the 2018 model year. This name might be recognizable to some viewers from the Mazda CX-9 model grade lineup. Highly-rated and praised throughout the automotive market, the Signature trim is now coming to the iconic flagship sedan of the Mazda lineup. 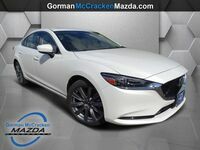 This addition expands options for shoppers and gives drivers access to luxurious materials, advanced technologies, and superior performance abilities in the new 2018 Mazda6 trim level spectrum. 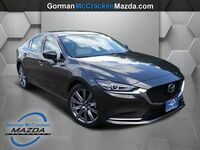 Like the Signature trim level in the Mazda CX-9 lineup, the 2018 Mazda6 Signature is designed to rival luxury brands and is intended to be a premium option at a more affordable price point than the competitors it challenges. This model grade houses the same characteristically unique styling that Mazda vehicles are known for. 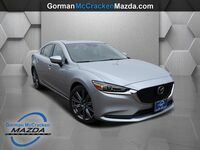 Retaining the affordability and value that Mazda seeks to produce in all the vehicles it engineers, the 2018 Mazda6 Signature is a great option for drivers looking to upgrade their styling but still remain in an affordable price range. Those who choose this model grade will find stunning design elements throughout the interior of the cabin. Some of the high-grade touches include Parchment or Deep Chestnut Nappa leather seating surfaces, Japanese Sen wood interior accents, and gilded UltraSuede® NU details. The new trim level gets a new engine option for the 2018 model year. Now offering a turbocharged engine option, drivers of the 2018 Mazda6 Signature will have access to even greater performance power than previous model years of the Mazda6 could afford. This turbocharged powerhouse will produce 250 horsepower. In addition to the upgrades already mentioned, this trim level gives drivers access to a new 360⁰ View Monitor, front and rear parking sensors, a seven-inch TFT reconfigurable gauge display, frameless rearview mirror, and a gunmetal-colored grille for an added boost of convenience, confidence, and style. 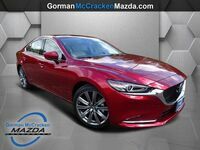 You can find out more about the 2018 Mazda6 Signature in Longview, TX by contacting us at Gorman McCracken Mazda! We’ll tell you all you can expect from this upcoming model and tell you when you can expect to see the new 2018 Mazda6 Signature in our showroom.